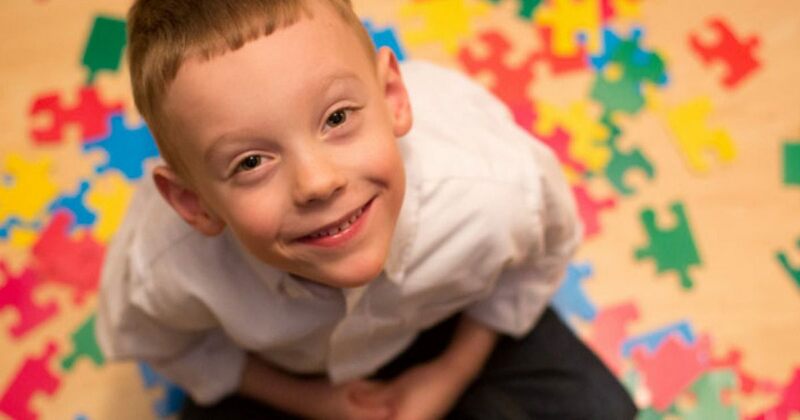 Can Massage Therapy Help Children with Autism? It might be a harrowing experience for you to learn that your child has been diagnosed with autism. After the diagnosis, you might wonder how to settle up things for your child. In numerous research and analysis, it has been found the massage therapy can help significantly mitigate the effects of autism. A research conducted by Centers for Disease Control and Prevention concluded that in the United States, 1 out of 68 children are suffering from autism or Asperger’s Syndrome. As autism or Asperger’s Syndrome has no definite cure, it was found that a full body massage can narrow down the intensity of the problem. With most of the parents, in the absence of complete knowledge, they visit physicians, psychiatrists, psychologists, physical therapists and speech therapists. They do so in a manner to restore the balance in the lives of their children. In most of the diagnosis and medication therapy, the doctors believe autism to be neurodevelopment disorder, meaning the inter-connectivity of the nerve cells in the brain are not properly tuned; thus, resulting in a lot of problem associated with speech, touch and social behavior. Those who are suffering from autism, in them the brain cannot detect the sensory signals; and these signals when bundled up together and organized result in a response. With autistic children, such things do not happen as per Tami Goldstein, a certified craniosacral therapist and autism advocate and educator. What is Dr Tami Goldstein’s Take on Massage Therapy for Autistic Children? As per Dr Stein, in most of the cases with the autistic child, the nerve tissues are not working properly. In such times, if you bombard the person with lot of sensory information, they will panic and choke out. A gentle massage can relax their senses. So, such so that they do not take you as a threat. On account of this response, most of the parents prefer a massage therapy for their autistic child to cope with the autistic disorder. With the autistic child, they may be afraid of the sounds that may not appear friendly to them. The “fight or flight” response gets activated; thus, any sound that they may feel threatened with might turn them off. With a good massage therapy, they can train their mind to cope with alien auditory stimulus, thus, mitigating the autistic attacks for the children. Massage therapy has worked wonders for the children with autism. It has been helping them blend with the environment and connect in the same way as normal human-beings. If you have your child struggling with autism, it is advisable to look for a massage therapy service. After 5 to 10 sessions, you will witness significant improvement in them. https://www.royalmalemassage.com/wp-content/uploads/2019/01/Can-Massage-Therapy-Help-Children-with-Autism.jpg 630 1200 Mihir https://www.royalmalemassage.com/wp-content/uploads/2018/07/Royal-Male-Massage-Logo-300x140.png Mihir2019-01-21 12:18:512019-01-22 08:51:10Can Massage Therapy Help Children with Autism?